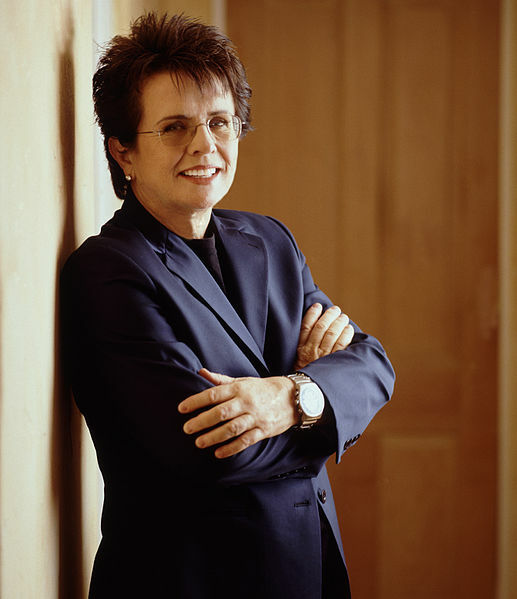 On Wednesday, February 10, 2016, tennis legend Billie Jean King gave the keynote speech at an annual luncheon in Rochester, New York, in honor of trailblazing Suffragist Susan B. Anthony’s birthday. Susan B. Anthony is a native of Rochester, having lived there for over 50 years, and is currently buried at Mount Hope Cemetery in the city. First capturing the nation’s attention as a trailblazer herself in the world of 1970’s women’s sports (not to mention with her victory against Bobby Riggs in the “Battle of the Sexes” tennis match), King spoke about Susan B. Anthony’s legacy in continuing to inspire those fighting for equality. After urging attendees to “keep making history” King, using a racket, swatted several autographed tennis balls into a delighted audience. ← Previous Previous post: NWHP Honors Women’s History Month Honorees with Luncheon in Washington, D.C.